Medical Specialists offers a range of treatments which you or your family might need while you are travelling to a holiday destination. We offer treatments for malaria, hay fever, allergies and Travellers' Diarrhoea. Our online consultation process is simple and easy and if approved by one of our Precriberss, we will post your treatments to you via Royal Mail's next day delivery service. Its that simple! Travel sickness or motion sickness is very common, especially in children and women and can make one feel dizzy, sick or even vomit. It is thought that everyone can potentially get motion sickness, but that some people are more vulnerable than others. It is caused by repeated unusual movements, usually when travelling by boat, car, plane or train. Motion sickness can also be triggered by anxiety or strong smells, such as food or petrol. Several medications can be used to treat motion sickness. It is usually better to take medication before your journey to prevent symptoms developing. Kwells melt in the mouth tablets are for the fast and effective prevention and control of travel sickness. Hyoscine acts on the balance organs of inner ear and the nerves responsible for nausea. Suitable for people 10 years and older. Kwells Kids melt in the mouth tablets are for prevention and relief of travel sickness in children over 4 years of age. Avomine tablets are for the prevention and relief of travel sickness, general nausea and vertigo. Suitable for people 5 years and older. Please select your destination and click go. This will take you to NHS Fit For Travel website where you can find the recommended malaria medication for your destination. Malaria is a serious and sometimes fatal disease which is caught by being bitten by an infected mosquito that is carrying the malaria parasites in its saliva. 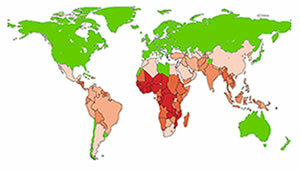 Malaria is widespread in many tropical and subtropical countries and occurs in over 100 countries and more than 40% of the people in the world are at risk. It is usually recommended you take antimalarial tablets if you are visiting an area where there is a malaria risk. Symptoms of malaria include fever and flu-like illness, including shaking chills, headache, muscle aches, and tiredness. Nausea, vomiting, and diarrhoea may also occur. Malaria may also cause anaemia and jaundice because of the loss of red blood cells. There are a number of different treatments available depending on the area you are going to. To find out which medication is suitable for your travel needs, please use the links on the right. Please make sure you take the right tablets for the area you are going into. The links on the right will give you more information on it. When to start 2 days before travelling to an area which has malaria. 2 days before travelling to an area which has malaria. 1 week before travelling to an area which has malaria. 2 days before travelling to an area which has malaria. vomiting, stomach pain and Diarrhoea. Malarone (Atovaquone Proguanil) tablets are used for the prevention and treatment of malaria. These tablets are particularly suitable for short trips to areas of the world which have become highly chloroquine-resistant. Paludrine (Proguanil) tablets contain the active ingredient proguanil hydrochloride, which is an anti malarial medicine and is used to prevent malaria. Malarone Paediatric (Atovaquone Proguanil) tablets are used for the prevention and treatment of malaria. These tablets are particularly suitable for short trips to areas of the world which have become highly chloroquine-resistant. The dosage is also dependant on the child's weight. Mosi-guard is a powerful, natural insect repellent recommended for adults and children from 3 months. Jungle Formula Maximum contains 50% DEET, plus plant extracts to make it more effective than ever. If you're about to travel long-haul, visit a high-risk disease area, or just need some extra protection, this is the one for you. Doxycycline is a broad spectrum antibiotic that belongs to a class of medications called Tetracyclines. Taken twice daily for 7 days, it is the recommended first line treatment of Chlamydia. An allergy is the response of the body's immune system to a normally harmless substance, such as pollen, food, or house dust mite. It can cause a runny nose, itchy eyes, skin rash and even gastrointestinal symptoms such as abdominal discomfort and vomiting. Allergies are widespread and affect approximately one in four of the population in the UK at some time in their lives. 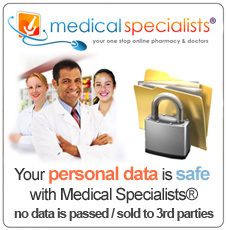 Medical Specialists offers a wide range of allergy treatments which can be really helpful while you are travelling. If you are suffering from asthma like symptoms (short of breath, wheezing), you should see your doctor immediately for a diagnosis. Your doctor is able to prescribe medication if he feels you have asthma. If you have already been prescribed an inhaler or have lost your inhaler or run out and cannot get a prescription immediately, we are able to supply you an inhaler to help your asthma symptoms. Ventolin Evohaler (Salbutamol) is a prescription medicine which is used to treat breathing problems in people with asthma and similar conditions. It helps the airways in the lungs to stay open, making it easier for air to get in and out. If you feel you have asthma, you should see your GP first to see if Ventolin is suitable for you. If you need or have lost your Ventolin asthma evohaler and you are having trouble getting to your doctor, use our online service to buy two evohalers without seeing a doctor face to face. Before you buy Ventolin please visit www.ventolin.co.uk for more information and a list of possible Side Effects. Loratadine is a non-drowsy antihistamine tablet which provides symptomatic relief of allergy symptoms such as hay fever (allergic rhinitis), urticaria (hives), running and itchy nose, sneezing, burning and itchy eyes, and helps relieve reactions to bites. 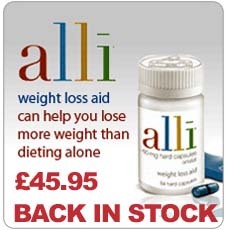 Suitable for people 2 years and older. Loratadine could be also used to treat mild to moderate pain from sinus headaches. Whether it's hives, rhinitis or a hay fever, Loratadine can prevent you from suffering from these disruptive conditions and allow you to get on with your day as normal. 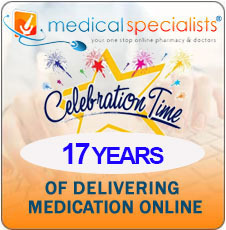 You can buy Loratadine allergy tablets online from Medical Specialists Pharmacy without the need for a prescription. Exposure to substances such as pollen, animal fur, house dust or an insect bite can cause the body to produce a chemical called histamine. The release of histamine causes allergic symptoms which can include skin rashes, sneezing, watery eyes, runny nose and itching. Cetirizine stops the effects of histamine and helps to relieve these symptoms. Flixonase Nasule Drops are used to treat: Small growths inside the nose (polyps) Symptoms associated with nasal obstruction. It contains a medicine called fluticasone propionate. Flixonase Nasule Drops are provided in small plastic containers (Nasules). The active ingredient fluticasone propionate belongs to a group of medicines called steroids (also called ‘corticosteroids’). Flixonase Aqueous Nasal Spray contains 50 micrograms of the active ingredient fluticasone propionate in each spray. It also contains other substances needed to make a stable suspension which will not go off. Fluticasone propionate is a corticosteroid (steroid for short) which has an anti-inflammatory action. The tiny amounts sprayed into your nose help to reduce swelling and irritation. Fluticasone propionate should not be confused with anabolic steroids misused by some athletes and taken as tablets or injection. Mometasone nasal spray can be used by adults and children from the age of 6 years to prevent or ease the symptoms of allergic rhinitis. This is when the inside of the nose is inflamed and irritated. Common symptoms include: sneezing, a blocked or congested nose, a watery discharge (runny nose), and an itchy nose. It is caused by hay fever and other allergies. Nasonex is a prescription nasal allergy spray approved for the treatment of seasonal and perennial nasal allergy symptoms. Nasonex is a nasal corticosteroid (also known as inhaled nasal steroid) which can effectively help with congestion, sneezing, itching, and a runny nose - all nasal allergy symptoms - when used correctly. Nasonex is taken once or twice a day by spraying inside the nose. Whether it's hay fever, dust allergies or a seasonal problem, Nasonex can prevent you from suffering and allow you to enjoy life as normal. You can buy Nasonex spray online from Medical Specialists Pharmacy without the need for a prescription. Prevalin relieves the symptoms of hay fever in the nose and eyes. Prevalin's patented formula contains specific ingredients that uniquely deactivate pollen in the nose so it cannot irritate the nasal mucosa. With its unique approach, Prevalin lines the inside of the nose, deactivating pollen and getting to the root of the problem - addressing all significant hay fever symptoms, without the side-effects. Prevalin kids nasal spray is suitable for children between 6 to 12 years. It relieves the symptoms of allergies that are caused by airborne allergens, for example hay fever, dust mite allergy or pet allergies. As a child’s nostril is smaller than an adult’s, a smaller dose is needed to form a protective barrier against allergens that cause hay fever and allergic rhinitis. Alomide eye drops are used to relieve the symptoms of hay fever such as red, itchy, watery and puffy eyes. The eye drops need to be used regularly to achieve relief from the symptoms. Once your symptoms improve, you should continue to use the drops regularly for as long as is needed to prevent the allergy. NeilMed Sinus Rinse is the most effective way to clean mucus, allergens, irritants, bacteria and viruses from the nose reducing the frequency of infection. Traveller’s Diarrhoea is a common condition which normally occurs in up to 50% of European travellers. It is characterised by passing three or more loose stools in one day, either while travelling or shortly after returning home and is commonly accompanied by abdominal cramps, urgency, nausea, bloating, vomiting, fever, and malaise. Traveller’s diarrhoea is caused by consuming food or water that has been contaminated by bacteria, viruses or parasites. The symptoms of Travellers' Diarrhoea usually start within two to three days of arriving at your destination. Xifaxanta tablets contain the active ingredient rifaximin, which is a type of medicine called a rifamycin antibiotic. This prescription drug is used to treat infections in the intestine such as Travellers' Diarrhoea. This antibiotic acts locally in the intestine and is not absorbed into the bloodstream. It remains 99% within the gut and has few systemic side-effects and few interactions or contraindications. Imodium is used to treat symptoms of diarrhoea. 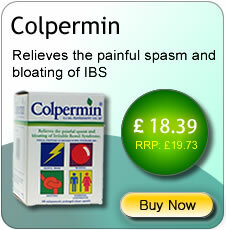 It slows down irregular bowel movements and helps restore your digestive system back to normal. The stools become firmer and are passed less frequently. People who bought holiday and travel products from us in the past have also bought these products below from our chemist shop.